/ Why a Tourist Visa to Australia in the First Place? 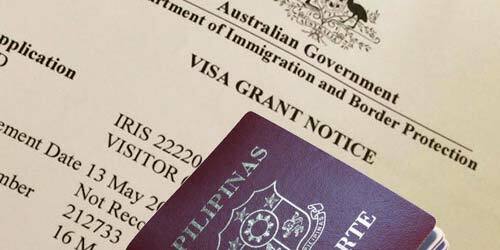 Why a Tourist Visa to Australia in the First Place? If you haven’t been to the Philippines yet, perhaps you don’t realize how hard life is there for the average person. We live in the Philippines, but we do not live like your average Filipino. If you’ve already been here, please stop and think about what you’ve seen. Life is very hard sometimes. Life in Australia is a really easy! And you probably will have noticed the resilience in the nature of Filipinos. Real character. Those who have so little, they can manage a generosity of spirit that is not so common in wealthier nations. They are generally very happy and grateful for whatever they have. The smiles are always there, and the hearts are always open. This character makes them some of the most adaptable people in the world, and they manage to make new homes for themselves in so many nations. There is a sizable Filipino population in Australia. And when a Filipina gives her heart to a man, she gives it for life, for better for worse. If she truly loves you, she will want to be with you. She would live anywhere with you. You honestly don’t need to find out if she will be happy in your home in the suburbs. If she’s the right lady for you, you won’t have a problem! In short? Getting her to check out Australia to see if your home is to her liking, it’s not necessary. I’ve never seen a case of a Filipina who loved the man, yet didn’t like the place! What is our suggestion if you want to marry her? If you are not ready yet to commit, then by all means get us to manage a tourist visa application for you. Spend some time together and see if your relationship goes to the next level. A 3 month visit gives you plenty of time to get used to each other out of holiday-mode. However if you are at the stage where you are both committed to marrying and if you intend bringing her to Australia as your fiancée, then by Law you must meet her in person first. The mail-order-bride myth is not only very insulting, it’s also in contrary to Australian Migration Law. You must have personally met. Note too that you will have no chance of getting a tourist visa for her if you haven’t met either. The Embassy expects that you can show a level of commitment to each other, which is hard to demonstrate if you haven’t met in person. So if you haven’t met in person, we suggest that you fly to the Philippines as soon as you can. See how she lives and meet her family. If you get to know her family and her culture, and if her family get to know you, then your relationship will be better in the long term. And keep lots of records of your trip. Photos, receipts, boarding passes, etc. And keep records of your communication history. Don’t delete or throw away anything! Condition 8503 – NO FURTHER STAY – An issue? In the past if you got a visitor visa from Philippines granted it was normal to have a Condition 8503 attached to it. It meant that she could not apply for “extensions” to her visa in Australia, and she couldn’t apply for any further visa applications whilst she was still in Australia! Fortunately we haven’t seen an 8503 since 2013, which was a lot of tourist visa applications ago for Down Under Visa. So don’t stress over this. However if you are thinking of marrying her on a tourist visa, please contact us and discuss this. Many a naive couple assumes they can do this very easily, but it’s actually fairly complicated and you should get professional help. But if you’re not completely ready to commit, or if you’re waiting on a divorce or something like that and you still think a tourist visa suits your situation, then please contact us and more than likely we can help you. But if you both decide you are in fact ready and you want to make the big commitment, then also please contact us and we’ll go over all your options with you. Jeff Harvie is a professional Migration Agent, registered with the Migration Agents Registration Authority, a statutory body set up by the Australian Government to regulate the standards of the profession, and to give protection to visa applicant clients. NB. We do not give advice or discuss cases over the phone. We do this to avoid mistakes and misunderstandings which can have tragic consequences. We advice you strongly to use our free assessment forms. Copyright © 2016 Down Under Visa.